The IRS released several sets of guidance on the afternoon of January 18, 2019 regarding one of the more complex and far reaching aspects of the 2017 Tax Cuts and Jobs Act or “Tax Reform.” It was helpful to receive some additional guidance before we dive headlong into what promises to be a challenging filing season. Outlined below are the highlights of what they confirmed, denied and still need to advise us upon in future guidance. The Service received over 330 comments from practitioners and other respondents including the American Institute of CPAs and the American Bar Association. This was one of the largest concerns coming out of the proposed regulations issued months ago. The 199A or QBI deduction is only available if the activity rises to the level of a trade or business. There is no definition in the Internal Revenue Code, so the courts have had to address this issue. Commentators asked the IRS to adopt the guidelines they have issued under the passive loss and/or net investment income tax regimes, and they declined to do so. The rental services can be provided by the owner, employees, agents or independent contractors. Financial and investment management activities do not count. They want to see the hours spent operating, maintaining, leasing, marketing and repairing the property(ies). Rental of one’s residence will not qualify, nor will triple net lease arrangements. If safe harbor treatment is desired, a statement will need to be signed and attached to your tax return each year. If you do not meet the safe harbor requirements, you may still qualify for the 199A deduction, if facts and circumstances allow, but you will not have the benefit of safe harbor “certainty.” Self-rental situations, where a real estate rental activity is comprised of leasing business property to a related business, remains a trade or business, available for aggregation, under the proposed regulations, even if that arrangement is a triple net lease. They declined to address the following items, which seem rather similar – unreimbursed partner expenses, interest expense incurred on the acquisition of partnership and S corporation interests, and state & local taxes attributable to a trade or business. Whether guaranteed payments (“GP”) are for services rendered or for the use of capital, they will not be QBI for the recipient and they will reduce QBI from the entity that paid those fees. Analyzing your partnership agreement to shift from paying GPs to having preferred returns or other means of allocating net income from a partnership remains the best course of action here. Here, the IRS basically punted. They did not provide any further guidance or safe harbors here. So there remains inconsistent treatment of businesses and the related QBI deduction dependent upon their tax structure. Each business will need to examine its specific facts to select the appropriate entity, not just for QBI purposes, but for all tax purposes. The regulations allow taxpayers to aggregate commonly controlled businesses under certain circumstances; primarily interdependence, shared space or services and the provision of similar services or products. This election is helpful, when on a combined basis, the QBI deduction is maximized. This aggregation is allowed at the partnership or S corporation level and not just the individual taxpayer level, which should decrease the time burden of the aggregation election. The same rules and reporting requirements that apply to individuals apply to the passthrough entity electing to aggregate and the owners of that entity will need to respect that aggregation and cannot disaggregate. Veterinarians – are within the field of health, and therefore a SSTB ineligible for the QBI deduction. However, if the vet operates a separate business with separate employees that sell food and other products (even within the same entity), the product business will be eligible for QBI. Surgical centers and assisted living facilities – if these businesses outsource the health care provided to patients and simply provide real estate, equipment and related services to its customers/residents, then they would be eligible for the QBI deduction. Staffing businesses are eligible as are insurance and real estate brokers and property managers. Sports team are not eligible, even though the owners are not performing. Lenders are eligible for the deduction, while financial advisors are not. The 5% de minimis rule for SSTB activity (10% if revenues are under $25 million) remains as is under the proposed regulations, much to the dismay of those just over those limits. 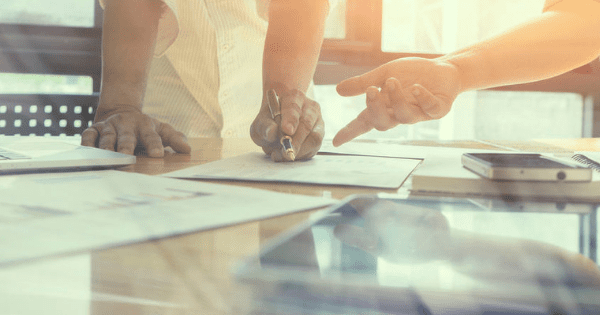 By example, if a business provides consulting that would be considered a SSTB if a separate trade or business and that consulting revenue exceeds 5% of total revenue, the entire business is deemed to be an SSTB and no QBI deduction is available. If, however, the consulting activity is a separate trade or business, one can obtain the QBI deduction on the non-tainted business activity. Separate trade or business would dictate separate books and records, separate invoices, employees, etc. In a welcome piece of guidance, the IRS will allow a passthrough entity that has more than one trade or business to test for the presence of SSTB activity over the de minimis threshold within each separately stated trade or business, not at the overall entity level. This would alleviate the need for taxpayers to house their SSTB activities in their own entities, and more simply just maintain separate books and records for each activity within the one entity. In other good news, when leasing property or providing services to a related party SSTB as well as a non-SSTB business, the portion provided to a non-SSTB is now eligible for the QBI deduction and the portion of the business where property and services are provided to the related party SSTB remain SSTB income itself. Previously if more than 80% of the property or services were provided to an SSTB, the entire activity did not qualify for QBI. Within the 247 pages of final regulations there were a number of other more technical issues discussed and clarified. Issues such as depreciation recapture, IRC 751 income, ordering rules for previously disallowed losses and other matters. Section 199A will be very beneficial to owners of qualifying business activities. However, the rules and regulations therein are not only complex, they are brand new, which will require close examination of all business activity until the rules of the game are familiar for all, including the IRS. If you have any questions on how the updated guidance will affect your business please contact us.